From the custom pump panels to the Arrow XT etching, each 1:50 scale replica is built to the exact specifications of Engine 26. Our goal with each release is that our customers may notice something new each time they view the model. Production Engine 26 is limited to 110 units. Fire Replicas are designed with the elite collector in mind, and manufactured in limited quantities to enhance future value. 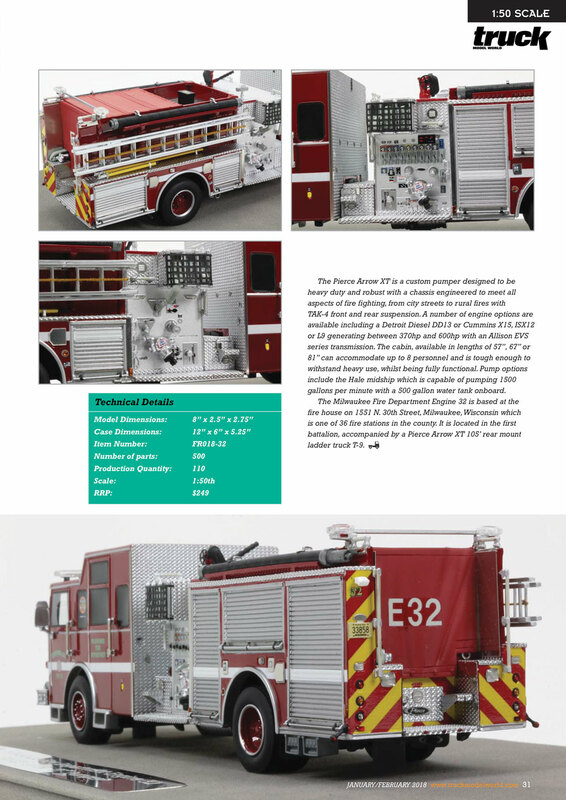 Milwaukee Fire Department Engine 26 measures 8"L x 2.5"W x 2.75"T and is securely displayed inside a custom case. The case dimensions are 12"L x 6"W x 5.25"T and the platform includes an etched stainless steel nameplate with the Milwaukee Fire Department seal, department and truck name. 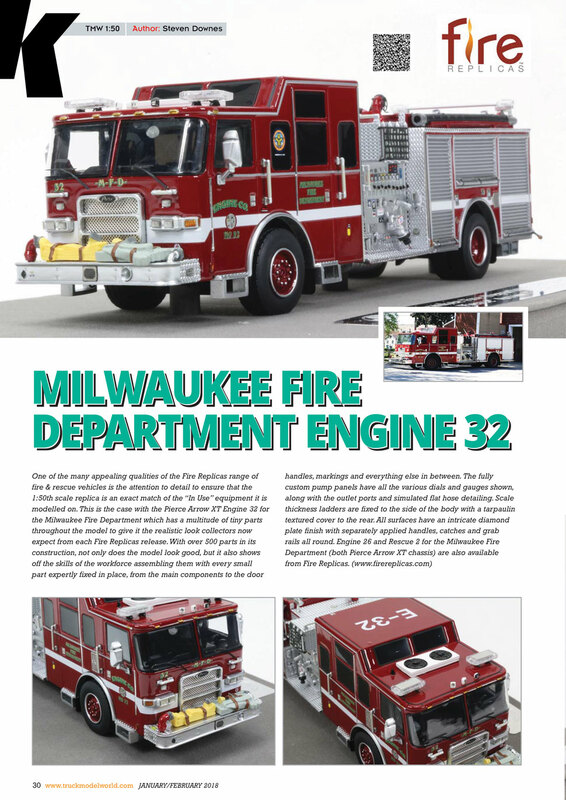 This Milwaukee Fire Department Engine 26 scale model is a museum grade replica. Like all Fire Replicas models, every detail is modeled to perfection and with razor sharp precision. The replica features the specific department configuration and graphics, leaving no detail overlooked. The display case is custom manufactured with high quality acrylic and resin. The stainless steel etched plate features the department seal, and the department and truck name. This replica is a treasure to be displayed and admired and is in no way a toy.